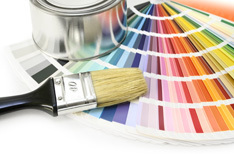 For a free quote, please contact steve@primedecorating.com, or alternatively you can fill out the form below. *All fields are required. "We just wanted to thank you for making our home look as it should do. Your professionalism and attention to detail is amazing! You have both made us realise that not anyone can paint, it really is a profession and this easily shows itself with the finish you have given our home. We look forward to your return to transform the interior now."